Produced by Broadsheet in partnership with Destination NSW. Unspoiled beaches, vast eucalyptus forests, great coffee and Rick Stein: the NSW South Coast has so much to offer. The South Coast of NSW has long been a beacon for travellers lured by the region’s beautiful coastlines, pristine beaches and idyllic natural wonders. 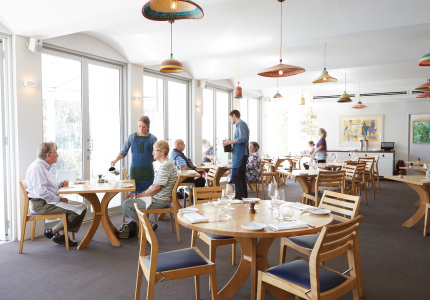 But it’s only recently that the area’s food and drink scene has begun alerting tourists to what locals already know: the South Coast isn’t just a place for playing and passing through, but an attractive destination unto itself. 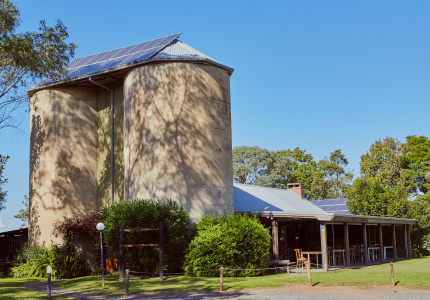 While Berry has long been the local cornerstone of South Coast hospitality, the impact of local venues like Silos and South on Albany has spread far beyond that tourist-friendly township. 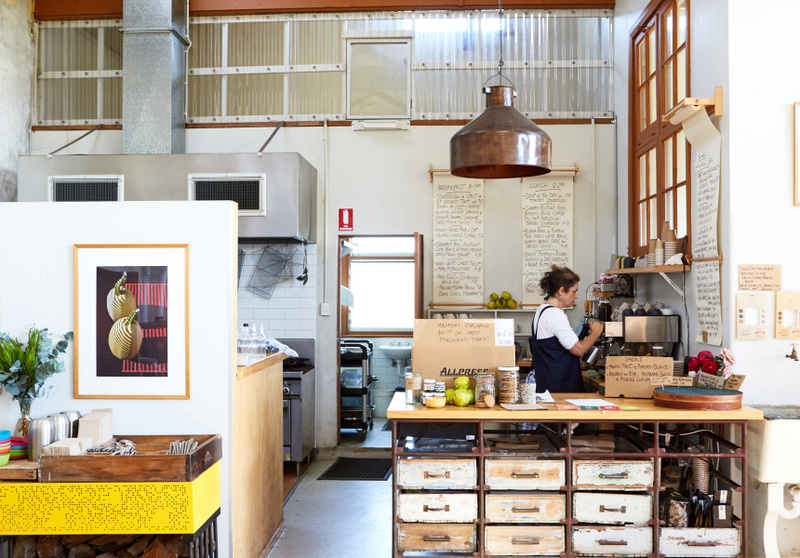 A handful of great cafes are producing food both high-quality and strikingly original, while others are finding success celebrating the spoils of local independent growers and farmers . Cooks who would be in-demand in major cities are drawing attention locally, and the region even has its own celebrity chef, in Rick Stein at Mollymook. Part of what makes the region so appealing is its vast expanse of untouched wilderness and the laid-back lifestyle of its beachside villages. 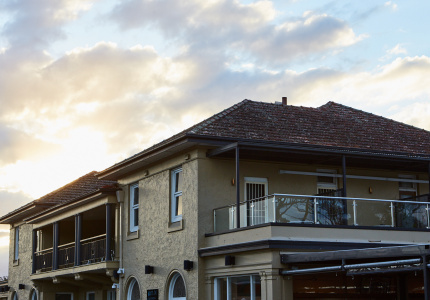 An evening spent at The Huskisson Pub is made by the spectacular scenery of Point Perpendicular, and a day wandering the beaches might pass without seeing another soul. The real lure? It’s just a few hours outside of Sydney. 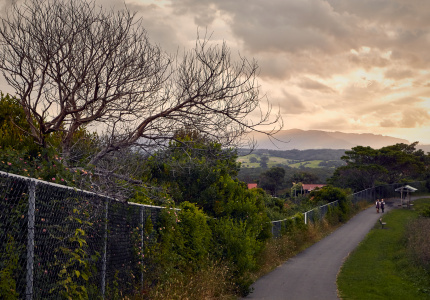 From Shellharbour to Shoalhaven, here’s our guide to exploring the many pleasures of the South Coast. 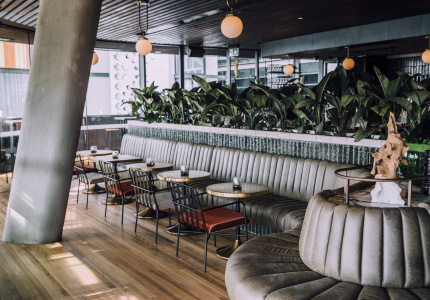 From low-key casual cafes to fluorescent macarons and celebrity-led fine diners, the NSW South Coast can sate the most eclectic tastes. 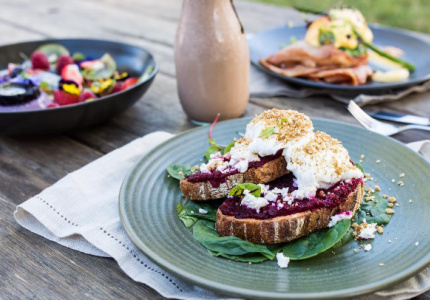 A farm-to-table cafe serving honest country cooking among the dairy fields of Milton. 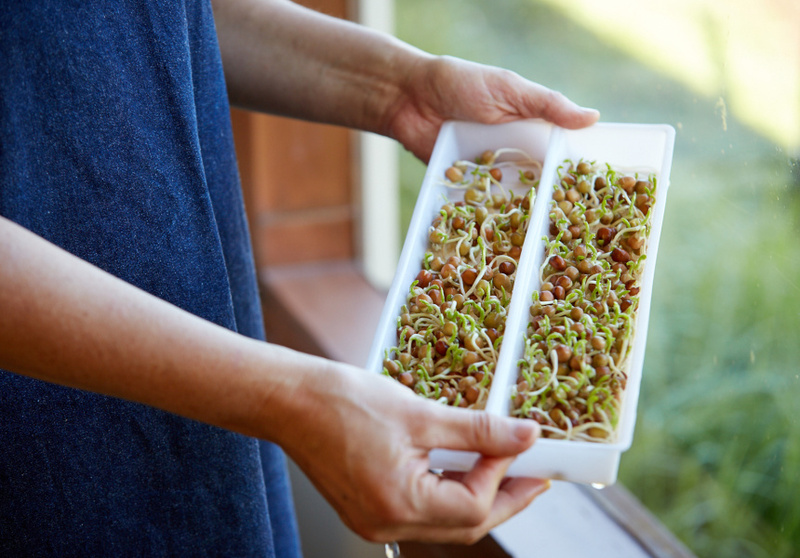 For coffee, beer, burgers and low-GI breakfast bowls. 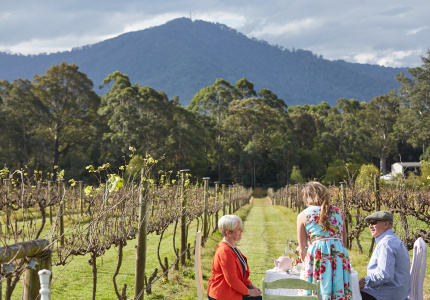 Enjoy fluorescent macarons, ribbon sandwiches and a glass of sparkling among the vines. An ex-Ezard and Circa chef working magic with South Coast produce. Seafood, ocean views and occasional sightings of the celebrity chef himself. Whether you’re on a casual health kick or looking for a sophisticated drop, you’ll find it here. Something for everyone, from cold-pressed juices and “bliss bowls” to enormous brisket burgers. A venerable restaurant that’s been operating since the ’80s, serving classic cuisine and wine made on-site. An extremely unique roaster and cafe that harks back to 1950s Florence. The most popular pub on the South Coast, for a reason. There’s no shortage of stunning spots to explore and engage with on the South Coast. 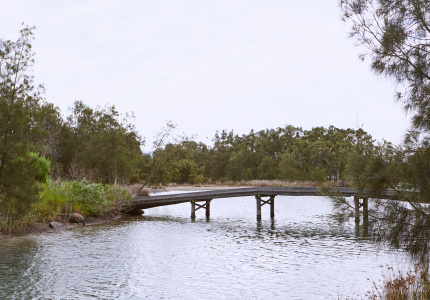 An enormous brackish lake that flows between the Illawarra escarpment and the Pacific Ocean, Lake Illawarra is a popular fishing spot with locals – particularly on moonless nights when prawns are running. With 13 boat ramps scattered across its 33 square kilometres, it’s an in-demand location for waterspouts and kayaking. On the edge of a housing estate in Shellharbour is Killalea Beach. 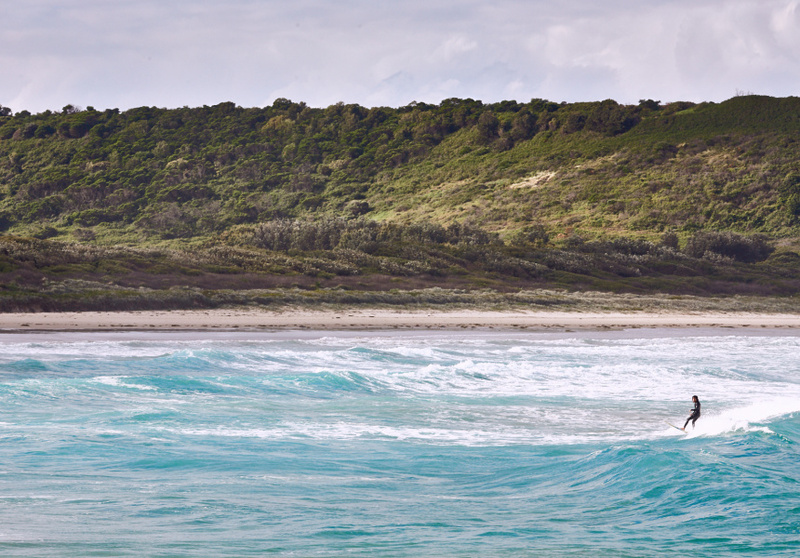 It’s known the world over as “The Farm” – hallowed ground for crusty surfers and grommets alike. The Farm’s south-east facing orientation and natural point break means there’s surf pretty much all-year round. It’s drawn surfers since 1960, who used to creep across a farmer’s fences to access the beach below. The area features 250 hectares of state parkland, and was officially named a national surfing reserve back in 2009. For the board-less, walking trails snake around the headland, and there’s a cafe up on the rise. Many childhood holidays began with a visit to the Kiama Blowhole. It’s just as impressive today: a natural sea cave formed from volcanic lava, the blowhole funnels waves up toward the shore, where compressed air forces the water upward with a tremendous boom. While early Australian explorer George Bass heard the sound while sailing past in 1797, for thousands of years beforehand the Dharawal people referred to it as Khanterintee. 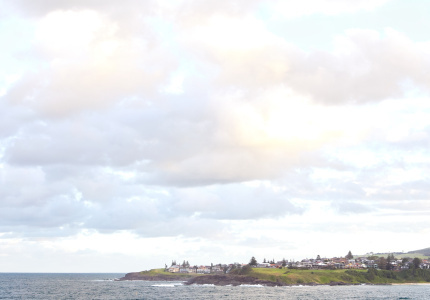 The best way to visit it is on foot via the Kiama Coastal Walk, which will lead you 22 kilometres along the shoreline from Minnamurra, down past the Little Blowhole (which is less impressive, but more consistent), ending at Werri Beach. Wirin Wirra isn’t so much a nursery as a forest in its own right. Off the Princes Highway bypass toward Tomerong, then up a winding road out into the bush, Wirin Wirra was established by the Parkinson family in 1993 as a wholesaler to nurseries and landscapers. 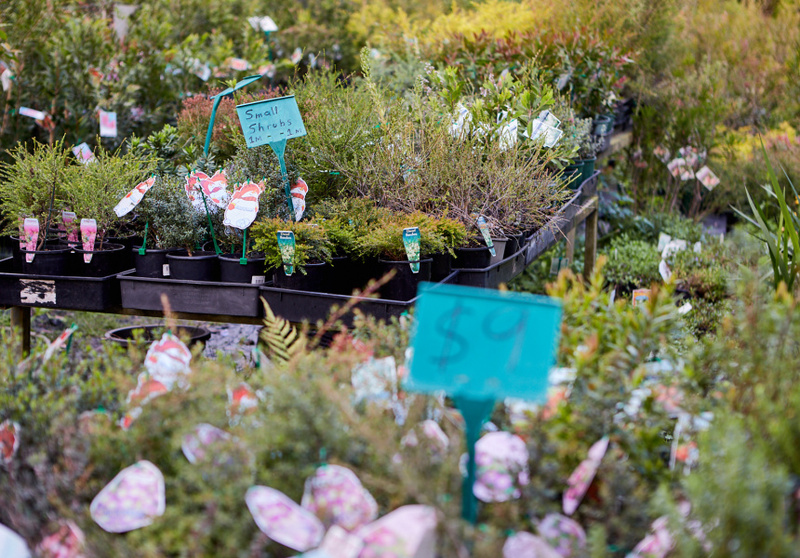 In recent years, the nursery – which trades in flowering trees, shrubs and ground covers, bush-food plants, and local species to the south coast area – has opened its gates to the public. There aren’t many movies houses like this anymore. Built in 1913 by a family of shipbuilders, the Huskisson Pictures building was originally a community hall, but has been operating as a cinema since the 1950s. In recent years, the cinema’s received a bit of TLC, with a digital projector, new sound system and even a raked floor. As quaint as it may be, the Husky Pictures still has a great selection of the latest releases, along with special features from the National Theatre Live. 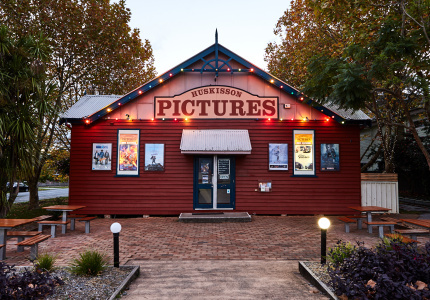 For cinephiles, there’s also a sister cinema in Sussex Inlet. 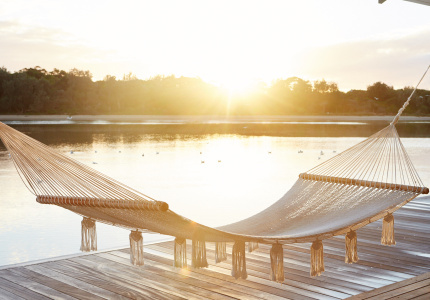 An idyllic waterside retreat and fancy camping. A converted boatshed turned holiday home. 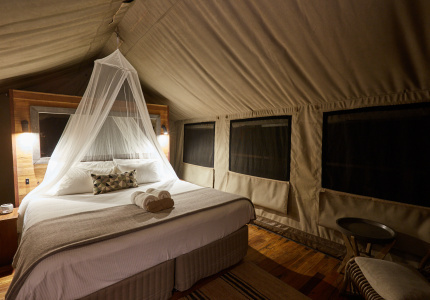 Glamping before it was even a thing. 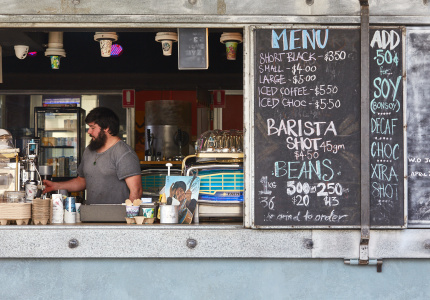 Draw up this list of swimming spots, cafes, and brews with a view to make a day of it. 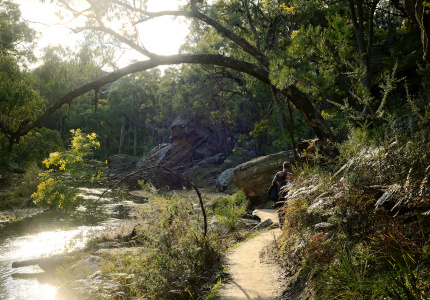 Check into your tent and doze in the bathtub for half an hour, before a cocktail session around the campfire and a three-course dinner at The Gunyah. Cruise down to The Farm for a secluded dip and a surf, if you’re game, then take a trek along the walking paths up to the headland. Visit this Kiama local favourite for a hearty superfood brunch to get you through the long day of exploring. Purple toast anyone? 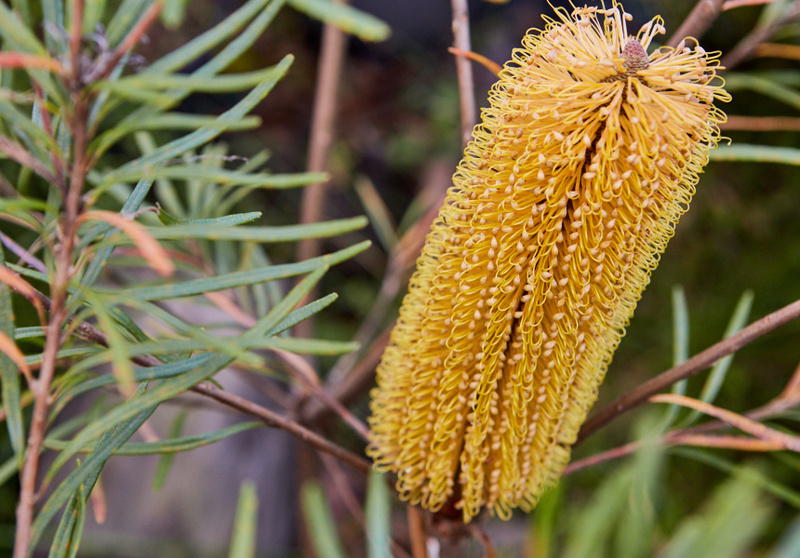 Pull off the Princes Highway to fill up the car with rare and unusual native plants, and let your garden become the envy of the neighbours. 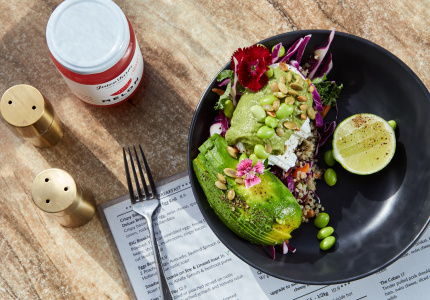 Cruise down to Milton and into the hills for a lunch at Milk Haus both delicious and healthy. It’s time for a break from all that virtuous behaviour. 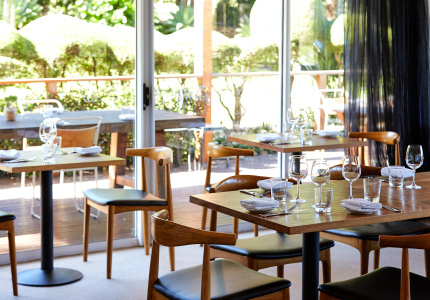 Claim a table looking out over Jervis Bay and watch the sun go down with a couple of schooeys. To explore the South Coast of NSW in further detail, visit the Visit NSW website at visitnsw.com.au.